Enter the world of Victoria's Torton Tales and join Victoria and her friends in their very own activity book. Packed full of fun colouring pictures and puzzles. A great fun activity book for children from 3 to 103. 3 Extra Colouring Pictures FREE! While stocks of these colouring pictures last. Add a personal touch to your purchase. Enter your dedication below and Wendy Wakelin, the author, will write your dedication and sign the book inside the front cover. 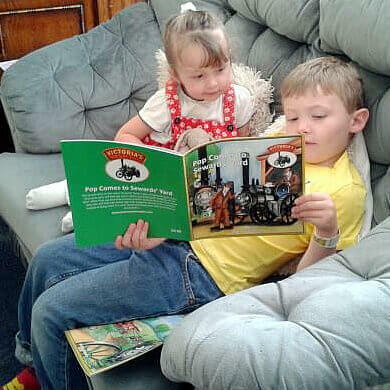 Enjoy the Fun and Adventures with Victoria The Traction Engine and friends from "Victoria's Torton Tales"
Every drawing can be a story in this exciting colouring and activity book from the steam world of Victoria's Torton Tales. Join Victoria and her friends as they get stuck in a maze, or try to climb to the top of the hill. Children can colour in Albert and the threshing machine, while they learn how a threshing machine works, and what it does. Or boys and girls can try to find the 14 names of Victoria's friends in a word search. There's even a Spot the Difference activity, and little animals from the stories pop up on many of the pages, calling to be coloured in. And much more. 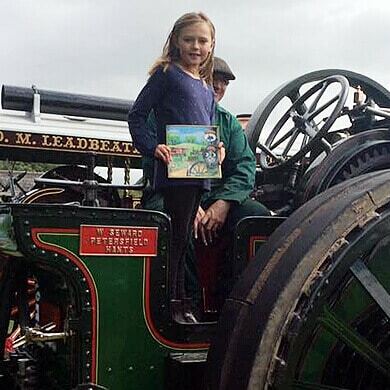 There's so much fun to be had in this activities and colouring book all about steam engines! Aimed at kids aged 3 to 103, Victoria's Torton Tales Colouring and Activity Book goes well with any of the story books in the Victoria's Torton Tales series. 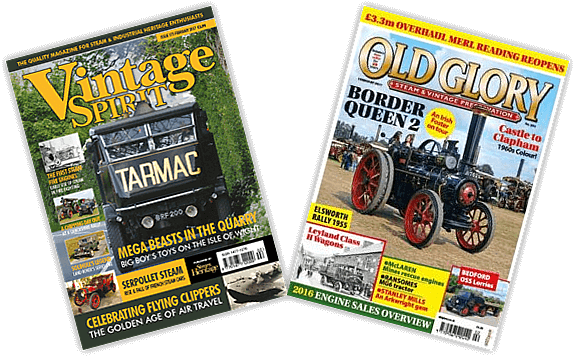 It's large, A4 pages make it a great gift on its own, or it can also be combined with a book or with a special Victoria's Torton Tales birthday card. Large, A4 (21cm x 29.7cm) pages with colouring pictures from the popular Victoria's Torton Tales storybooks, "Victoria's Busy Day" and "Pop Comes to Sewards' Yard". Now you and your children can use your imaginations and colour the pictures yourselves. Also, fun puzzles including mazes, word searches and spot-the-difference. Plus, "How a Steam Engine Works" explained in an easy to understand way, complete with diagram. Plus, lots of little animals from the storybooks to colour in on many of the pages. I have two very happy boys this morning. Thank you for our book. My granddaughter loves these books awaiting next. Look forward to reading these with my granddaughter.